This chapter discusses the anatomy and physiology of the inner ear, with emphasis on the vestibular organs and functions, and the vestibular pathways in the central nervous system. An operational model of the vestibular system is included, exploring the mechanisms that are particularly relevant to its clinical evaluation. 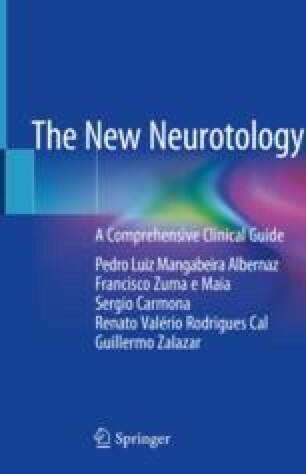 It must be taken into consideration that the new neurotology is essentially derived from the advances in neurophysiological knowledge. Curthoys IS. The new vestibular stimuli: sound and vibration – anatomical, physiological and clinical evidence. Exp Brain Res. https://doi.org/10.1007/s00221-017-4874y. Vidal PP, Cullen K, Curthoys IS, Du Lac S, Holstein G, Idoux E, Lysakowski A, Peusner K, Sans A, Smith P. The vestibular system. In: Paxinos G, editor. The rat nervous system. 4th ed. Elsevier; 2015. https://doi.org/10.1016/B978-0-12-374245-2.00028-0.